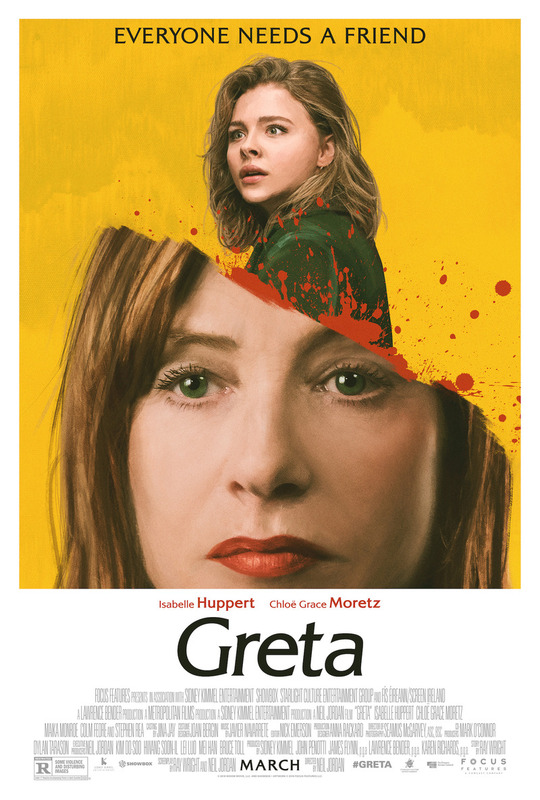 Greta DVD and Blu-ray release date is set for May 28, 2019 and available on Digital HD from Amazon Video and iTunes on May 14, 2019. When Frances finds a handbag abandoned on the New York subway, she tracks down the owner to return it. Greta is an older piano teacher and widow who lives a lonely existence. Frances quickly becomes friends with Greta, who becomes almost a surrogate mother to her. But as Frances soon discovers, Greta is hiding horrifying secrets from her, and as Greta becomes more demanding and controlling, Frances must find a way to save herself. DVDs Release Dates is the best source to find out when does Greta come out on DVD and Blu-ray. Dates do change so check back often as the release approaches.